Falling down doesn't make a person a failure, But staying down does. So always remember that when you fall so hard. 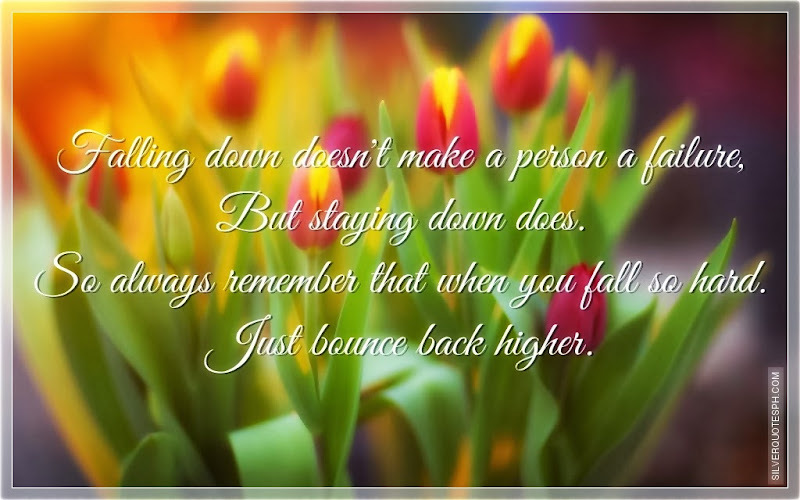 Just bounce back higher.